Facilitation Blog | Barbara Pedersen Services Inc. 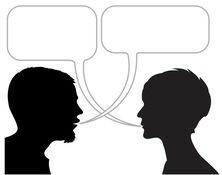 Facilitate with the power of a closing conversation. I am the principal facilitator/consultant of the company and I have over thirty years of experience with municipal community services, non-profit organizations, community development, and culture and recreation delivery. Since 1994, I have provided facilitation and consulting services to a variety of non-profit, corporate, and government organizations. Copyright © Barbara Pedersen Facilitation Services Inc.